In a quiet area of ​​the region of Las Hurdes, in Pinofranqueado, there are two rural style houses that have 12 exterior and spacious apartments. All apartments are fully equipped with free Wi-Fi and all the necessary amenities to enjoy a pleasant stay (free wifi). Enjoy now new apartments with fireplace. We have an ecological pool for exclusive use for our customers, garden with outdoor furniture, house with barbecue (can be used both in winter and summer), new social room with fireplace, TV 49 ", games for children and adults, books, ideal to meet, dining room where we offer our delicious typical breakfast homemade hurdanos (all homemade), reception with documentation and all the information of the region and surroundings, parking area and laundry. 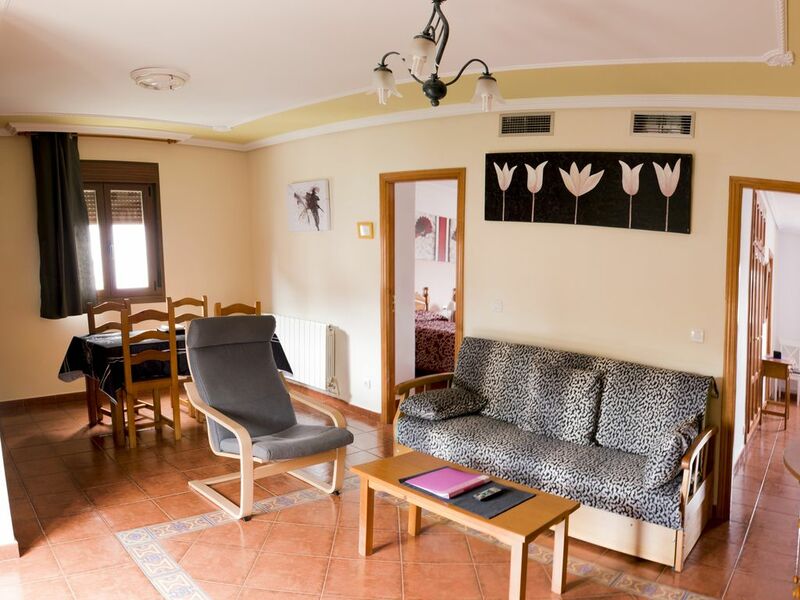 We highlight a special apartment (suite) for two people with shower, with sloping ceilings and wooden ceilings.